This product has been created using Rancilio LAB’s most innovative technology, and has set a new benchmark for style. The result of this commitment to design is a machine with extreme functional elegance. The advanced version is equipped with USB technology for fast, precise management of the main machine settings. 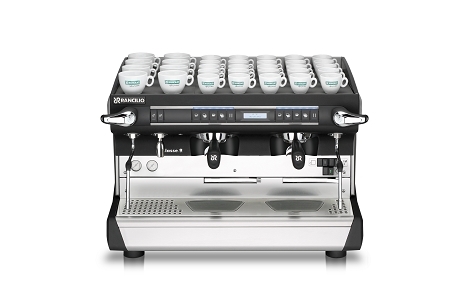 For simplified use, the semi-automatic 9 S version is also available, ensuring superb performance and top quality espresso. The range is completed by the TALL version, for beverages served in large cups and glasses.